BOOK A TABLE for a show or event! Subscribe to our newsletter to get updates about our shows, concerts and performances!! 800A Berlin is THE new venue in Berlin Wedding for art, culture and entertainment. Since our official opening in March 2017, many prominent Berlin performers have been creating their magic at our venue. Check out our current event program here! 800A Berlin is also the resident space for Instant Theatre Berlin. 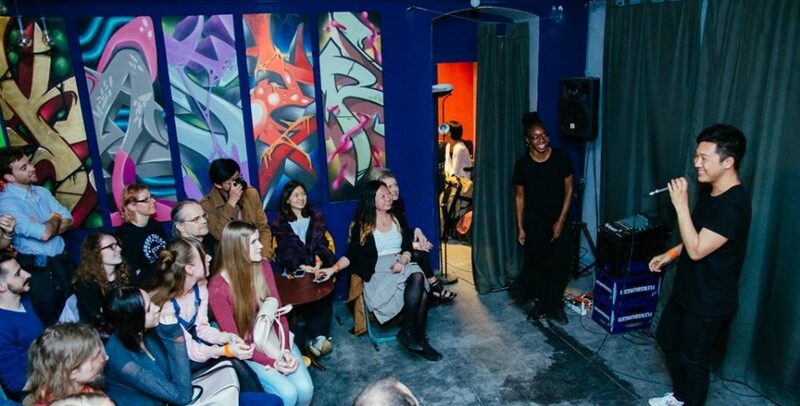 We offer acting courses, improvisation classes and shows in English on a weekly basis. 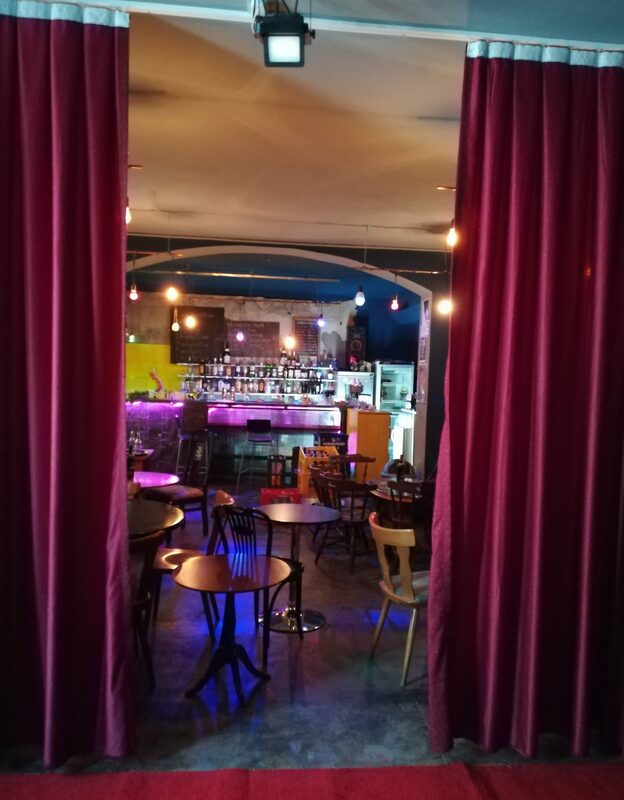 During most of the weekdays and weekends, our space in Stettiner Strasse is open to the public as a cocktail bar and venue for events, comedy, live music, burlesque shows, theatre shows and other cultural happenings. NEW ACTING COURSES IN 800A with Instant Theatre Berlin (in English) from April 2019!!! Our bar manager Fabio at work! 800A Berlin: Alternative Comedy Show every other Thursday in Wedding! Once again this year we’ll be one of the official locations for the festival 2 Tage Wedding. Check out the website HERE. Artists who would like to be part of 800A program for the festival on September 8-9, 2018 please drop us a line asap! The festival is a great opportunity to make your work … Continue reading Culture Festival 2Tage Wedding 2018: 800A as official Location!